This is an upgrade to the now discontinued award-winning IE 800 earphones with the same great Sennheiser sound highlighted by new XWB drivers and Comply foam ear tips. Earn 869 loyalty points when you order this item. 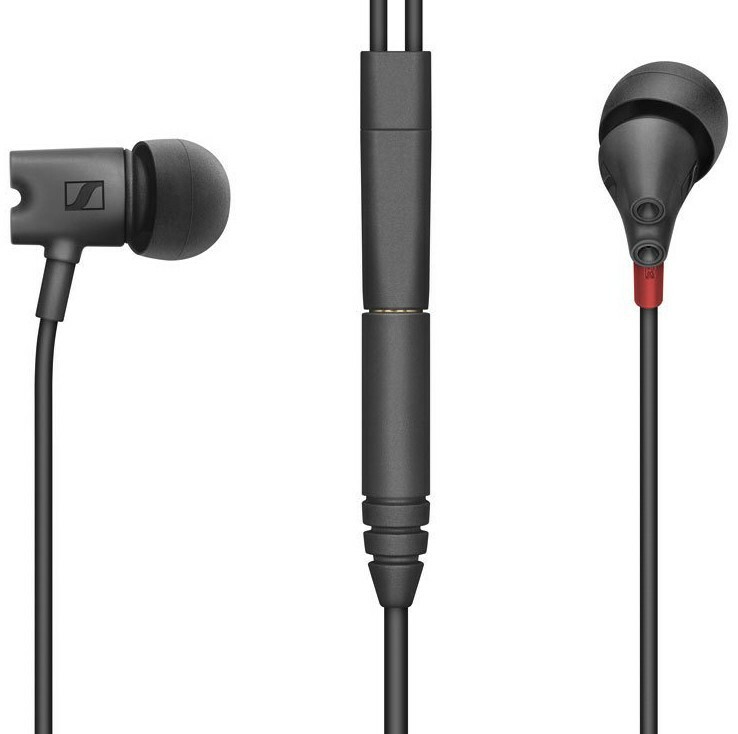 Sennheiser IE800S earphones set the benchmark for timing and clarity in-ear sound performance by utilising a newly refined version of the XWB (Extra Wide Band) drivers. The extraordinary audio capability of the IE 800 S is highlighted by the Comply foam ear tips. The IE800S are the next iteration of Sennheiser IE 800 ear-canal headphones, which contain an amazing amount of new technology within a very such a small physical space. They are fitted with pioneering advancements, such as the proprietary 7mm transducers and patented dual-chamber absorber (D2CA) system. 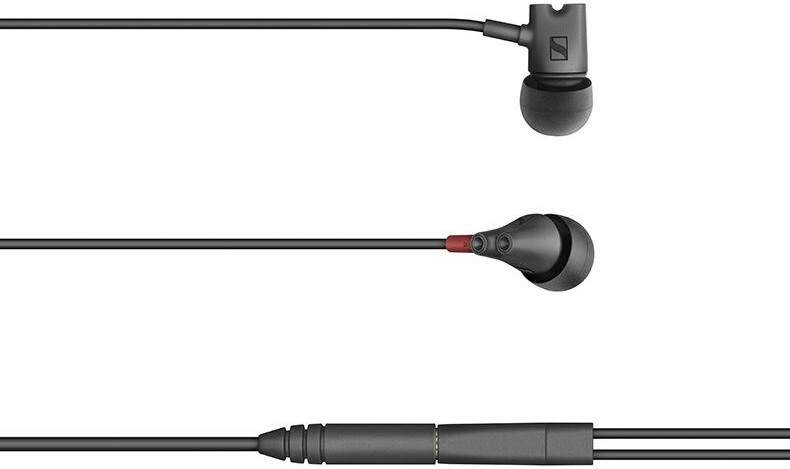 So the IE 800 S manages to conquer new aural territory for high-end in-ear headphones. The IE800S's are rich in detail, generating a stunningly realistic sound image. By presenting the high frequencies with precision and improving the bass sound, means these in-ear headphones reproduce the original sound as the artist intended. The D2CA dual-chamber absorber is a technological innovation that overcomes the "masking effect", where low-intensity high frequencies are masked by low-frequency sounds that are presented simultaneously. The D2CA absorber reduces the energy from any masking components, by smoothing the peaks, the absorber ensures the smallest nuances of sound remain audible, to present a complete high-end listening experience. Sennheiser believess in enjoying supreme sound with supreme comfort. Therefore, the IE 800 S, are fitted with ergonomic viscoelastic memory foam ear tips from Comply. These ear tips shape themselves to each individual’s idiosyncratic ear canals for a custom fit, which will result in a comfortable listening experience, as well as excellent attenuation of any external sound. 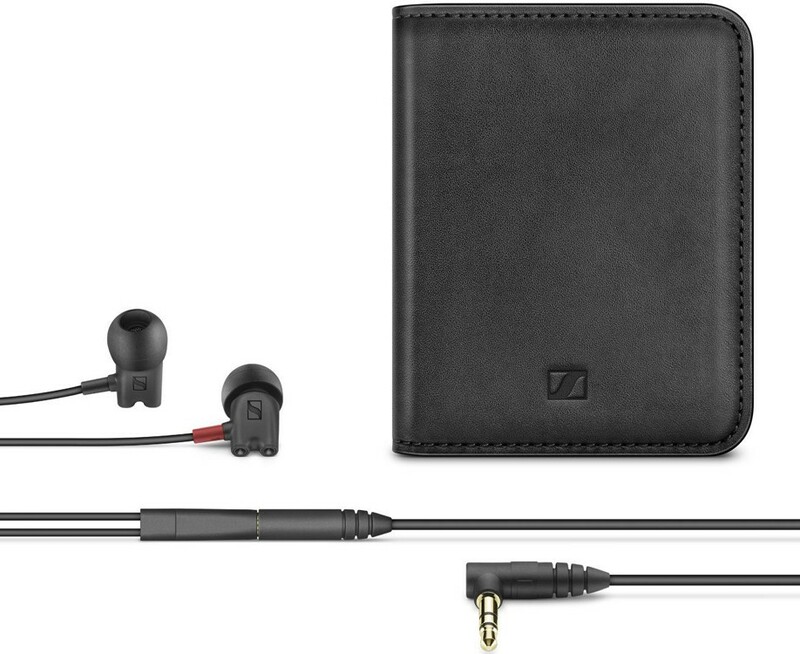 Designed and handcrafted in Germany by Sennheiser, so they have the modern, elegant aesthetics, you would expect, which is coupled with a matte black finish on its scratch-resistant housing. These earphones reveal their style even when packed away, with their premium leather case for easy storage when not in use. In the world of high fidelity sound, the IE 800 S design choices make a significant difference. The earphones are supplied with a standard cable (3.5mm Jack), and a choice of cables with 4.4mm Pentaconn and 2.5mm balanced connectors. As well as the cables, the IE 800S are supplied with 3 pairs of Silicone and 3 pairs of Comply ear tips, in small, medium or large sizes. For convenience and cleaning, there is also a stylish leather case and a microfibre cloth.